India is known for its diversity the all over the globe. Traditional/Ethnic clothing is one of the things that distinguish one part of India from the other. The traditional Indian attire has earned admirers from people from all over to world. The craftsmanship with which artisans create traditional dresses is really incredible. All forms of clothing are quite labor intensive and require a lot of attention to detail. Many of these art forms are unique and expensive as the cost of production is higher due to high amount of work required to create a masterpiece. India has many states and as every state in India is culturaly different from the other, this has given rise to varied kinds of dresses and styles. 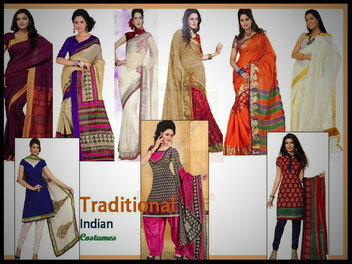 Today, it is possible to buy Indian Traditional and Ethnic wear online. But it makes a lot of difference when you buy the clothes in person. Luckily, there are some shops in Frankfurt, where you can visit personally and buy clothings as well as accessories. Also, in case a fitting/adjustment of the clothings is required, there are many tailoring services available (Änderungsschneiderei) as well. Please refer to the list of such businesses available in and around Frankfurt.